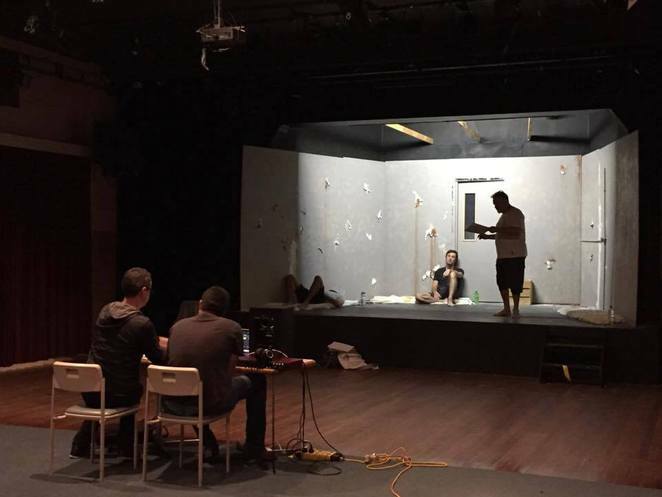 Irish Theatre Players started off the year with a great comedy performance and now as the seasons change, something more dramatic is about the light up the local stage in Subiaco. 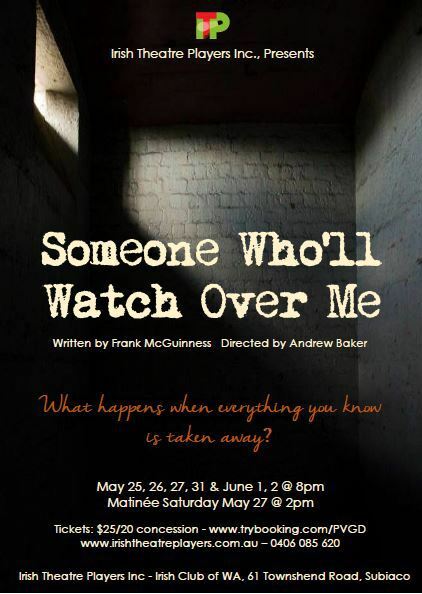 The committee is delighted to bring you their next play - "Someone Who'll Watch Over Me", written by Frank McGuinness and directed by Andrew Baker. "Someone Who'll Watch Over Me" is a moving, funny and intriguing portrayal of masculinity, humour and faith. An American doctor and an Irish journalist are being held captive by terrorists in Beirut in the mid-late 1980s. They exercise and they argue, supportive in their mutual determination to survive. They are joined by an English academic, Michael. The three display their national biases and prejudices, which are intensified in the cramped confines of their cell. As time passes they learn to laugh at, and with, each other, and they lament what was lost in their lives before captivity. Frank McGuinness is an Irish writer. As well as his own works, which include The Factory Girls, Observe the Sons of Ulster Marching Towards the Somme, Someone Who'll Watch Over Me and Dolly West's Kitchen, he is recognised for a "strong record of adapting literary classics, having translated the plays of Racine, Sophocles, Ibsen, Garcia Lorca, and Strindberg to critical acclaim". Award-Winning Director Andrew G Baker directs "Someone Who'll Watch Over Me". Most of Andrew's theatre experience is as a performer, having trained in Music Theatre at WAAPA (BA 2008) where his favourite roles were Edward in "Blood Brothers", the Writer in "Hello Again" and Beadle in "Sweeney Todd". As a Director, a recent highlight is the major musical "A Man Of No Importance" with Playlovers Theatre / Irish Theatre Players in 2015 which won the Finley Awards for, among others, Best Director and Best Musical. Andrew also won the Finley for Best Actor in a play for the role of Ty in "Sordid Lives" - also with Playlovers. Shows start at 8pm nightly. A complimentary glass of port on arrival and a light interval supper is included.